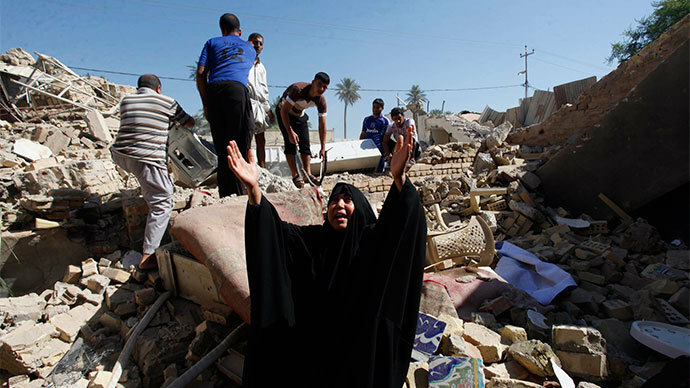 Attacks across Iraq killed 73 people on Saturday, most of whom died during bombings against Shiite pilgrims in Baghdad. Two journalists were gunned down in a separate incident in Mosul, located in the north of the country. No group has claimed responsibility for the attacks, but such bombings are usually carried out by Sunni Islamists allied to Iraq’s branch of Al-Qaeda. In recent months, militants have carried out numerous attacks on cafés and other public places where people congregate, such as mosques and markets. In one of the incidents on Saturday, unidentified gunmen shot dead two Iraqi television journalists as they were filming in the northern city of Mosul. Their reports on security forces and officials in Mosul had resulted in death threats from militant groups opposed to the Iraqi government, a journalist from Al Sharqiya TV channel told AFP on condition of anonymity. Iraq was rated the deadliest country for journalists between 2003 and 2008. However, the New York-based Committee to Protect Journalists has not reported a murder of a journalist in the country since September 2011. Nevertheless, members of the media continue to face widespread intimidation. “Many Iraqi journalists are routinely exposed to threats, murder attempts, attacks, difficulties obtaining permission, denial of access, confiscation of equipment and so on,” Reporters Without Borders said earlier this year.